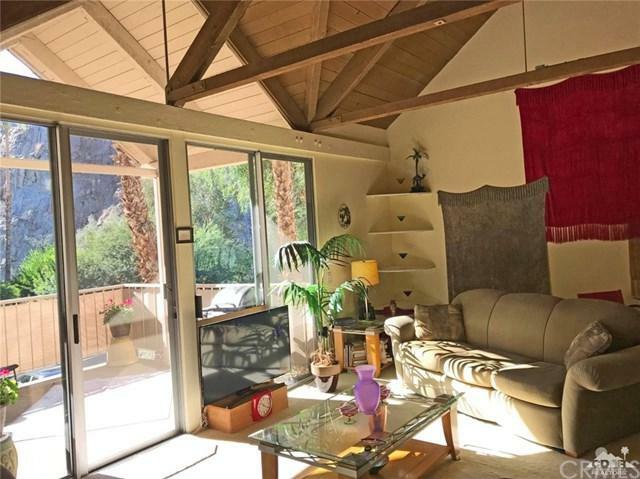 Your perfect studio retreat to enjoy the unique desert lifestyle at its best. Fabulous mountain views - Yes! Great location - Yes! Reasonably priced - Yes! Furnished - Yes! Pools nearby - Yes! 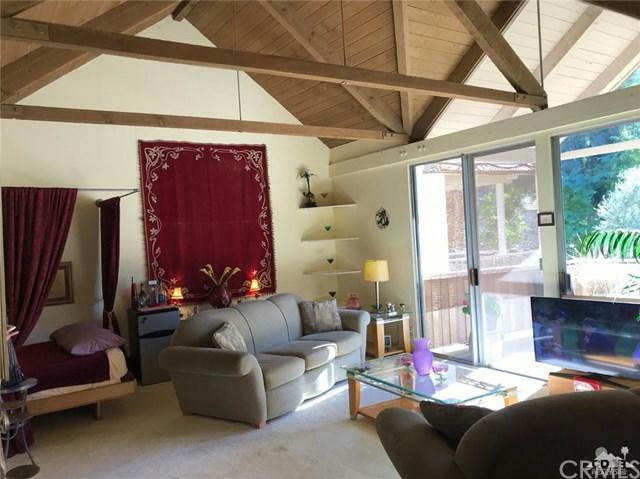 Boasting one large great room with wood, beamed & vaulted ceilings, a murphy-syle bed, comfy patio and a kitchenette, all with lots of natural light. 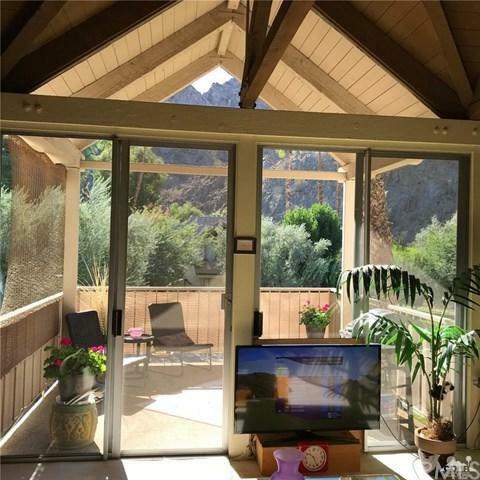 The property is conveniently located near 2 pools, and has large expansive windows which frame the dramatic nearby mountain views. 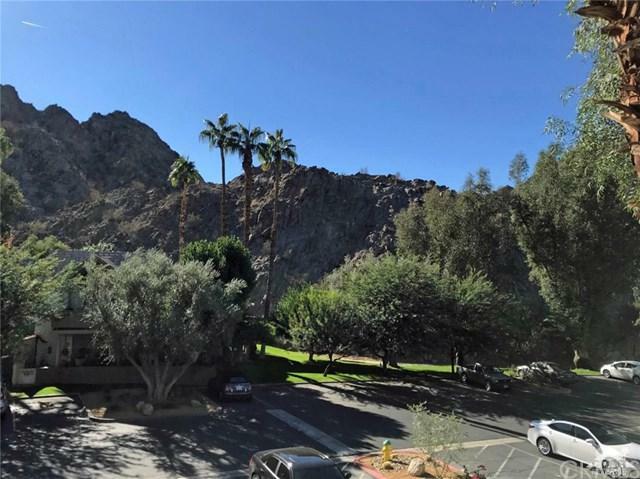 Indian Wells Property owners enjoy many benefits such as $35 golf at the Indian Wells Golf Resort, complimentary use of the Grand Hyatt Fitness Center, 20% discounts at the IW Club for meals and pro shop purchases, and resident tickets to the BNP Paribus Open Tennis Tournament. This is a true 'lock it and leave it' property at a great price. Upper level. Sold by of John S. Logg . Exclusions Some Personal items; Camel Statue Bowl On Coffee Table Crystal & Bar Glasses A Few Framed Pieces Of Art.